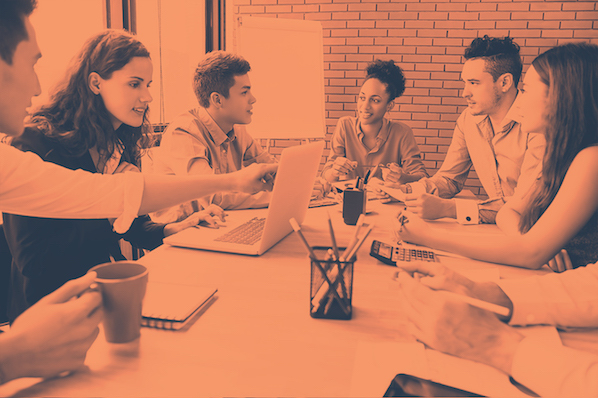 HubSpot also recommends this free training course for developing an end-to-end Facebook marketing strategy. Needless to say, Facebook has evolved at breakneck speed since my middle school years, and it’ll keep adapting at a swift pace for as long as it exists. If you need a refresher on how to use Facebook today or you want to sign up for an account, check out this in-depth explanation of how to use the most popular social media network in the world. To sign up for a Facebook account, follow these three easy steps. On the homepage, fill out your first name, last name, mobile number or email, password, birthday, and gender. After you’ve signed up for a Facebook account, you can adjust your privacy settings to control who can see your profile and information. Follow these four simple steps to change your privacy settings. Click on the downward pointing arrow that’s located on the top right corner of any Facebook page. In the left sidebar, press “Privacy”. Set who is allowed to see your past and future posts. You can also control how people can find and contact you. Odds are, there’s probably someone on Facebook who has the same name as you. To differentiate yourself from these people and help your friends and family find you on Facebook, personalize your profile by adding a profile picture, cover photo, and some personal information. Go to your profile and click on your profile picture. To pick your profile picture, choose a photo that you’re already tagged in on Facebook, one that you’ve uploaded to Facebook, or a photo from your computer. You can also add a frame to your profile picture. Click the camera button on your cover photo, which is on your profile. 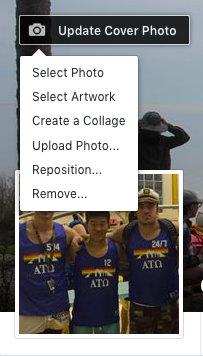 To choose your cover photo, you can pick a photo from your Facebook profile, a selection of Facebook’s own cover artwork, create a collage, or upload a photo from your computer. You can also reposition or delete your current cover photo. Click the “About” section on your profile page. In this section, you can fill in information about your work and education, the places you’ve lived, contact and basic info, family and relationships, details about you, and life events. On Facebook, you can follow and get updates from your favorite brands, celebrities, sports teams, and publications. The best way to do this is by searching for them on Facebook and liking or following their public page, which will have a blue verified check mark next to their name. After you like or follow their page, you’ll start to see their updates in your news feed. Your timeline is a digital log of your Facebook activity in reverse-chronological order. Your status updates, uploaded photos and videos, and the photos you’re tagged in will appear on your timeline. There are three ways you can add friends on Facebook. You can either search for them, find them in the "Find Friends" tab, or import a list of contacts from your email, iCloud, or phone. To find friends on Facebook, go to your profile, press the "Friends" tab, and click the "Find Friends" button. You’ll see a list of friend requests from other people and a list of people you may know that you can add as a friend on Facebook. If you upload a list of contacts onto Facebook, you can add your friends as you sort through each of your contacts. The main purpose of Facebook is to help friends and family connect with each other. And the best way to connect with your friends and family is by updating them about your life with status updates. To share a Facebook status, go to the text box at the top of your news feed page or on your profile page. With status updates, you can share text with 15 different colored backgrounds, photos, videos, GIFs, stickers, and links..
Feeling/Activity: share how you’re currently feeling or what you’re currently doing. Check in: when you visit a city, location, or place, check in and let your friends know where you’re at. Tag Friends: if you’re hanging out with your friends, tag them in your status and share what you’re doing. Tag Event: if you’re at an event, you can tag it in your status and share what event you’re attending. Ask for Recommendations: if you just moved somewhere or you’re about to visit a location, you can ask your Facebook friends for recommendations on where to go. Poll: ask your Facebook friends what their opinion is on a certain topic. Support Nonprofit: choose a nonprofit organization of your choice and share it through your status. Your Facebook Friends can then press the donate button to support the chosen organization. Answer a Question: choose a predetermined question to answer or create your own question to answer and share it with your Facebook friends. Lists: choose a predetermined topic to make a list for or create your own topic and share it with your Facebook friends. Facebook Stories: all the content that you can share through a status update is shareable through your Facebook story. You can also upload content to your stories by clicking the Add to Your Story button on the right sidebar. 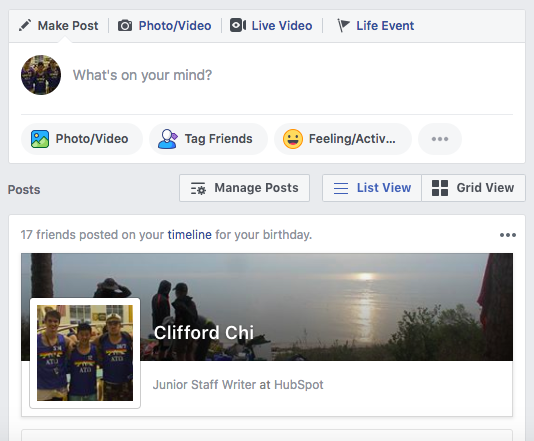 Additionally, you can watch all your friends’ Facebook Stories by clicking on their picture in the Stories section, which is also located on the right sidebar of your home page. On Facebook, you can add photos, videos, albums, and live video broadcasts to your profile for all your friends to see. Upload pictures or videos from your computer. 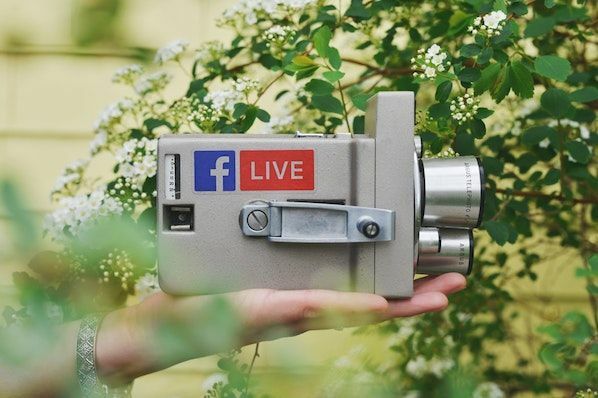 To do a live broadcast on your Facebook account, follow these three simple steps. In the box that says “What’s on your mind?”, press “Live Video”. Once you press “Live Video”, you can write a description about your broadcast, tag people in it, add a feeling or activity, check in to an event, support a non-profit, or add a poll. You can also title your live broadcast or tag a video game if you’re live streaming someone or yourself playing a video game. Press “Go Live” when you’ve finished describing your live broadcast. On your news feed, you’ll see updates from your friends, family, or public pages you follow. To interact with them, you can like and react to their posts, share content on their timelines, and communicate with them through text or video chat. If you like someone's post, give them a thumbs up, comment on their post, or share it. If your Facebook friend’s post evokes a stronger reaction in you than a like, you can also express that you love, laughed, are amazed, sad, or angry at their post by holding down the “Like” button. Anything you can post on your status, you can also post on your friend’s timeline. 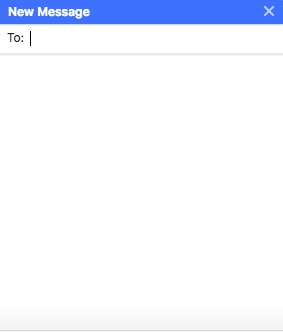 Next, press “New Message” and type in your friend or brand’s name that you want to connect with. 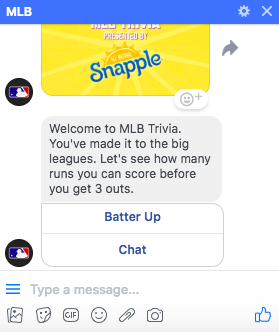 Facebook Messenger also lets you create group chats by clicking on “New Group”. After that, all you have to do is name your group and add the friends you want to include in the group. When you message your friends or group on Facebook Messenger, you can upload pictures, videos, and files from your computer, as well as stickers, GIFs, emojis, and take pictures and videos from your computer’s or phone’s camera. You can also view Messenger on its own page, where you can search for past conversations and manage your settings. 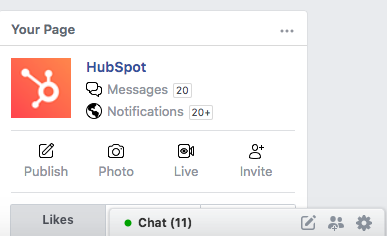 To view Messenger on its own page click the “Messages” button in the top right corner of any Facebook page and then press the “See All in Messenger” button. Or, you can press the "Messages" button on the left sidebar of the home page. To instant message your friends' who are logged onto Facebook at the same time as you, press the “Chat” button on the bottom of any Facebook page and strike up a conversation with your friends who are online. When you have Messenger open on its own page, you can search for any of your friends or groups, click on their name, and press the phone or video chat button to call them. 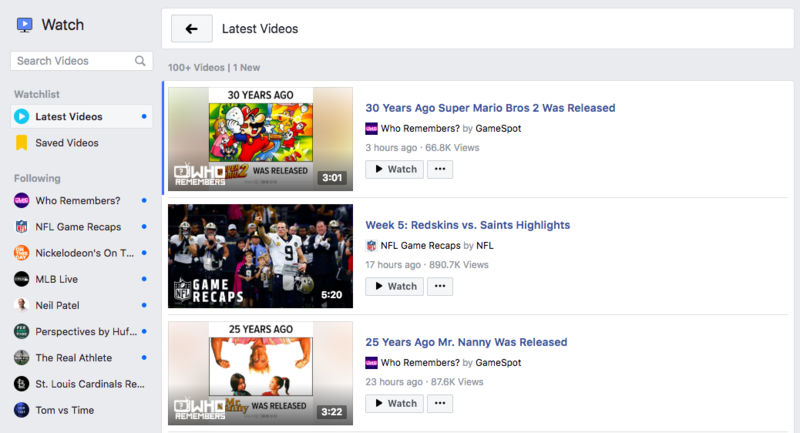 Your news feed is a curated feed of posts from your friends, family, and public pages you follow that Facebook’s algorithm thinks you’ll be interested in. You’ll also see ads from brands who think you’ll enjoy consuming their content or products. To customize your news feed, press the downward pointing arrow in the upper right corner of any Facebook page and click on "News Feed Preference". 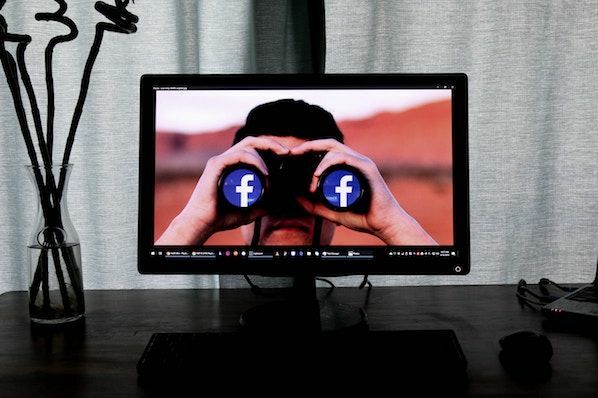 From there, you can prioritize whose posts you’ll see first, unfollow people and groups to hide their posts, reconnect with people and groups you unfollowed, discover public pages that match your interests, and hide apps from your news feed. Facebook isn’t just a platform for viral content and connection. It’s also a hub for community communications, video streaming, marketplaces, and games. 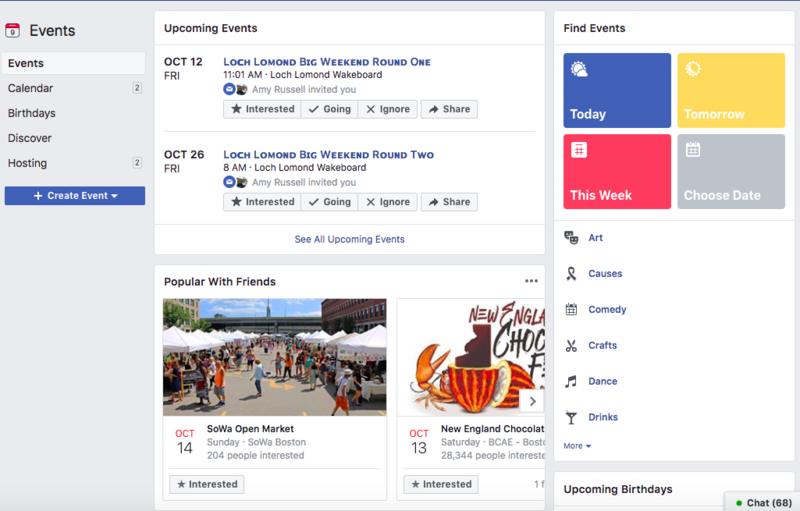 The Events page on Facebook will show you any upcoming events that are popular with your Facebook friends or have been set up by the groups you belong to. You can also find events based on their date, location, and category. To find the Events page, press the “Home” button. Then, on the left sidebar, you’ll see the Explore section, where you can click “Events”. The Groups page on Facebook will show you which groups you manage and belong to. You can also discover groups to join based off Facebook’s suggestions and a ton of other categories. To access the Groups page, press the “Home” button and then on the left sidebar, you’ll see the Explore section, where you can click “Groups”. In 2017, Facebook rolled out their video streaming service, Facebook Watch. On the platform, you can watch videos from the shows you’re following and search for other shows and videos. To access Facebook Watch, press the “Home” button. Then, on the left sidebar, you’ll see the "Watch" button right under the “Messenger” button. 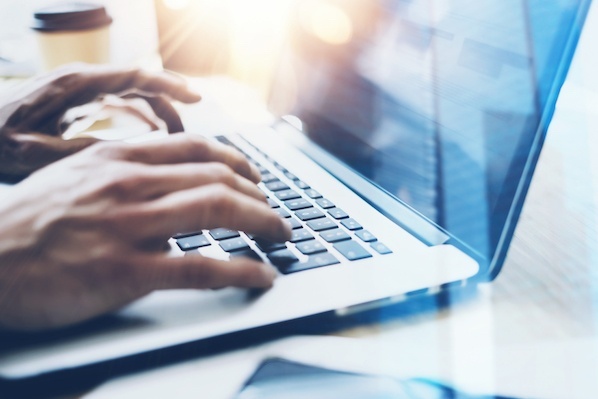 Not only does Facebook compete with Netflix in the streaming industry, but they also compete with eBay in the marketplace industry. 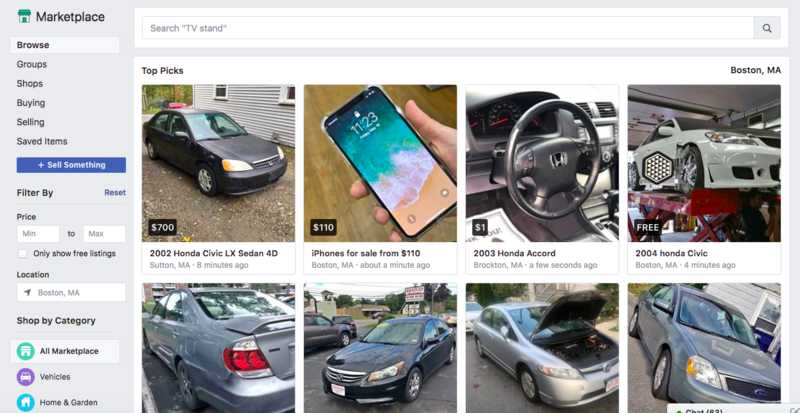 With Facebook Marketplace, you can browse for all kinds of products, join groups to buy and sell products with people in your area or who share similar interests, shop for products sold from different shops, shop by category, and sell your own products. To access Facebook Marketplace, press the “Home” button. Then on the left sidebar, you’ll see the “Marketplace: button right under the “Watch” button. 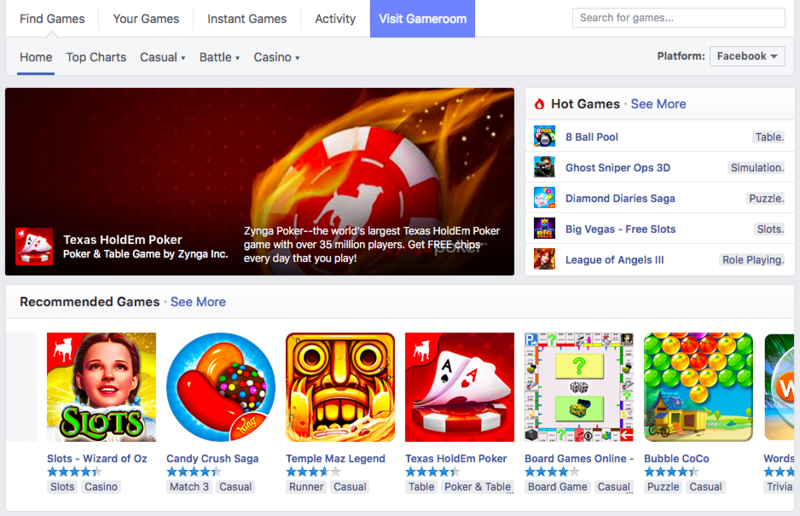 Facebook Games is one of Facebook’s best features. They host a huge collection of massively popular games, and you can browse the most popular games on the platform by top charts and categories. You can even play most of the games with your friends, too. There you have it. 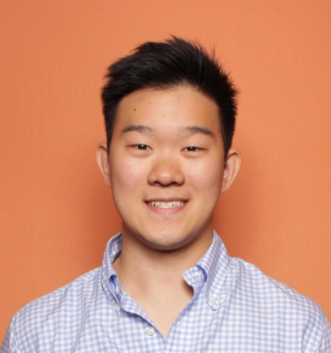 We hope this deep dive into using Facebook will help you build a social media presence and allow you to better connect with your friends, family, and favorite brands.